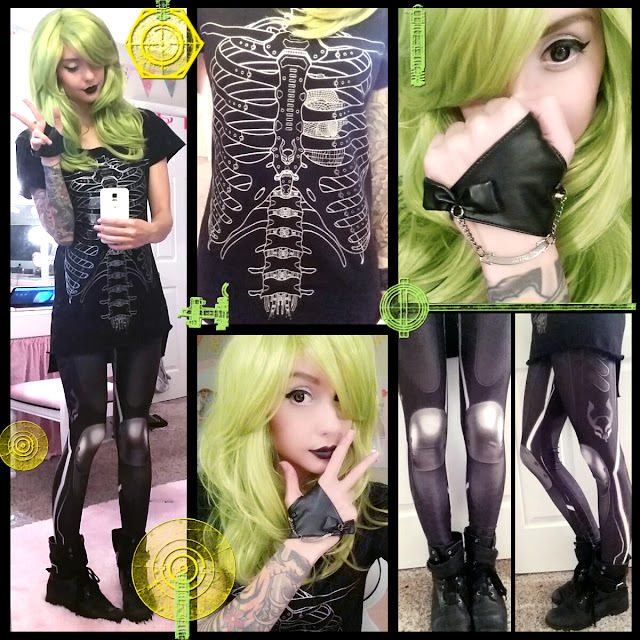 Alexa's Style Blog: Cyberdog's SUBSONIC Daily Style Challenge! This time the challenge won't be the same clothing item, but instead the same design. 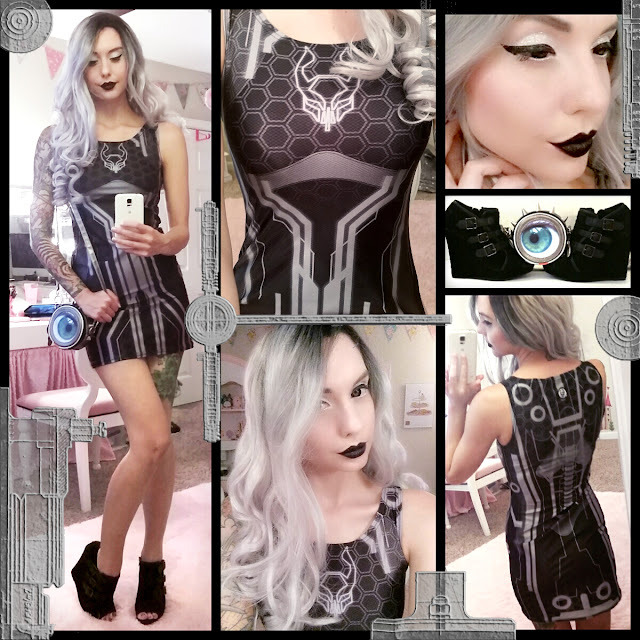 When I went shopping on Cyberdog.net, I fell in love with the futuristic "Subsonic" design and was soooo torn between the dress and the leggings. So naturally, I got them both! Now I want to hear your thoughts! Which do you like better? 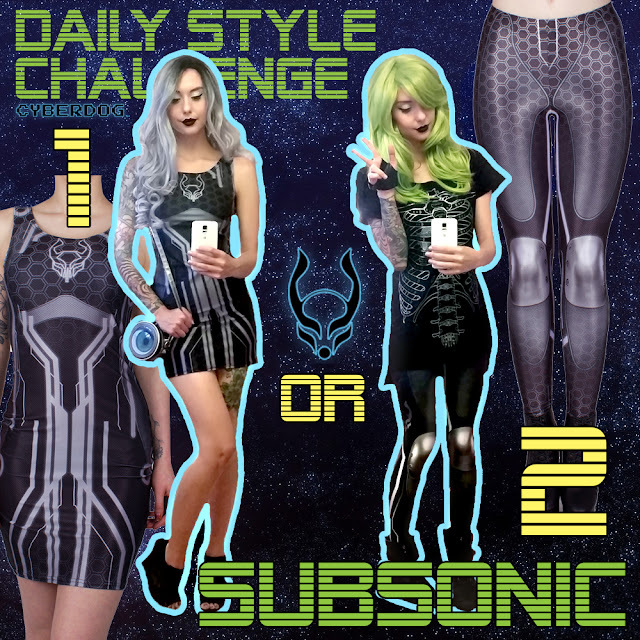 The Subsonic Dress (1) or Subsonic Leggings paired with Cyberdog's Loose Fit Rib Cage Tee (2)??? Let me know in the comments or on Instagram! Let's get on with the outfit breeeeeakdown! Use discount code "Alexa10" for 10% off! Use discount code ALEXA15 for 15% off! but if you're feeling desperate, here is their shop so you can see what they have now!